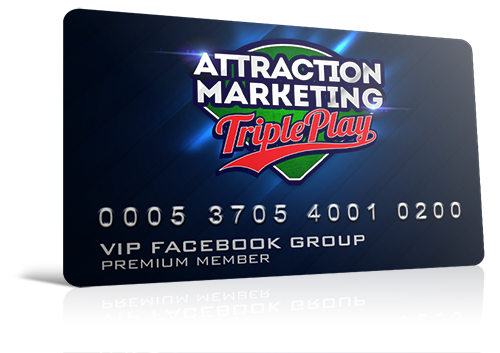 Get 8 NEW Attraction Marketing Bonuses - Worth Over $3,889 in Value! 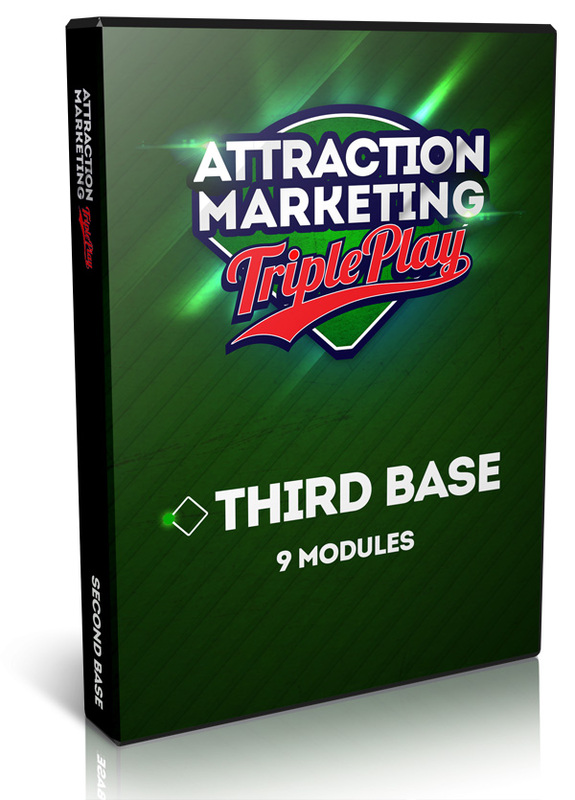 FINALLY Learn How to Attract Leads & BUYERS to YOUR Business... for FREE! These Attraction Marketing 'Micro Lessons' are compartmentalized into 3 easy-to-implement sections scientifically engineered to get RESULTS. Over the next 6 weeks you will be forced to grow, stretch, and physically TAKE ACTION... and you will grow your business because of it. And don't worry! Each 'Micro Lesson' is a bite sized training that's less than 20 minutes with a simple and effective action step to take. 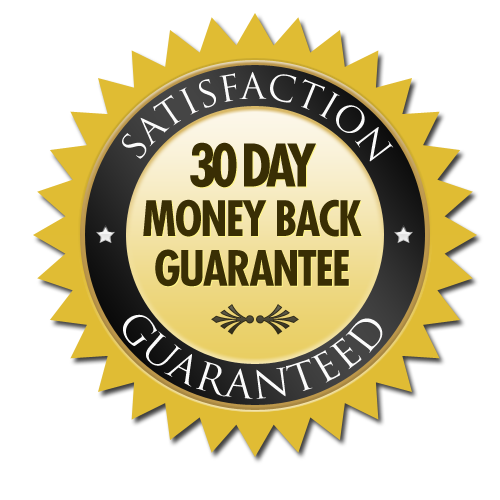 ANYBODY, on ANY budget, with ANY crazy schedule can make the decision to take 20 minutes per day for the next 6 weeks to build the business of your dreams. These 20-minute 'Micro Lessons' will start dropping daily in your back office on Monday, August 20th... and you will have Lifetime Access to EVERYTHING. 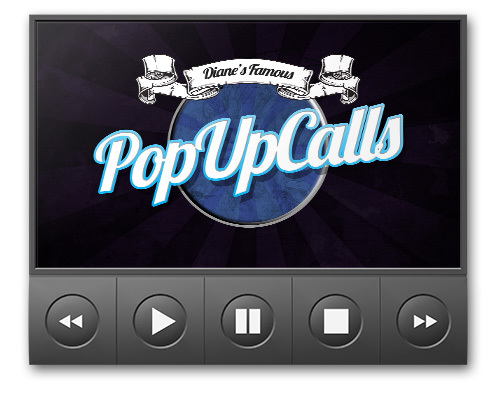 "Diane's the best at positioning yourself in a way that gets people to magnetically want to work with you. 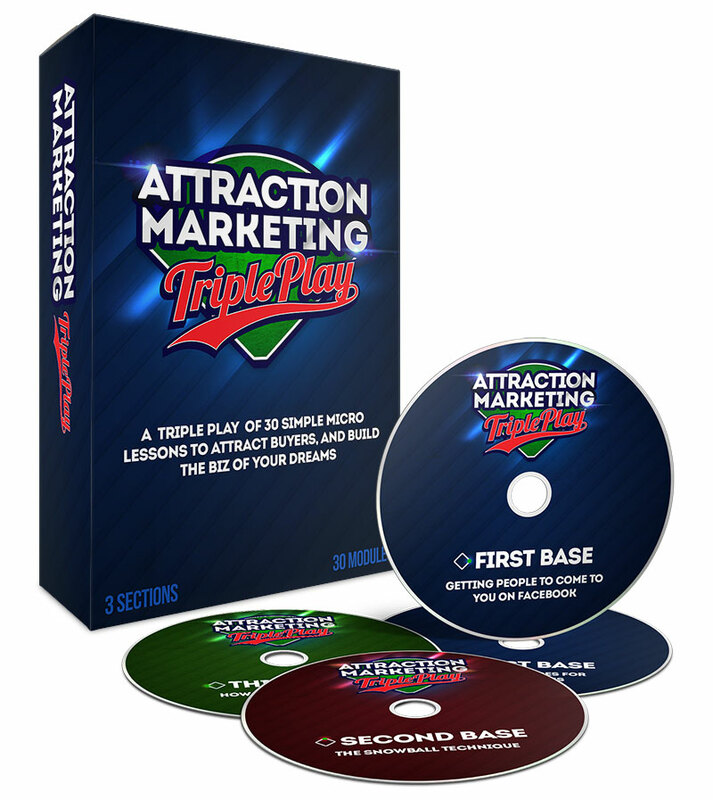 Whatever she teaches when it comes to Attraction Marketing, you need to BUY it immediately." IRRESISTIBLE BONUSESTAKE ACTION TODAY and you'll also Get 8 BONUS GIFTS valued at $3,889! This will be LIVE, interactive, and direct access to Diane and hundreds of other Triple Play students to make sure you progress and move forward daily! 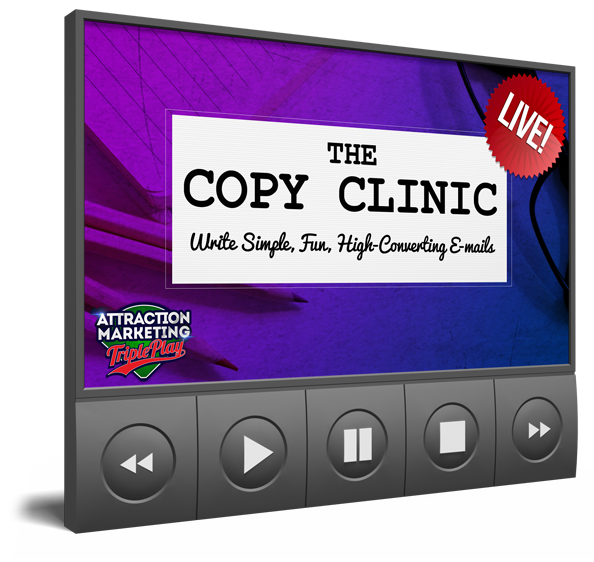 Copy Clinic Join Diane and watch her write fun simple email copy LIVE. Maybe she'll even pick your business to write about. 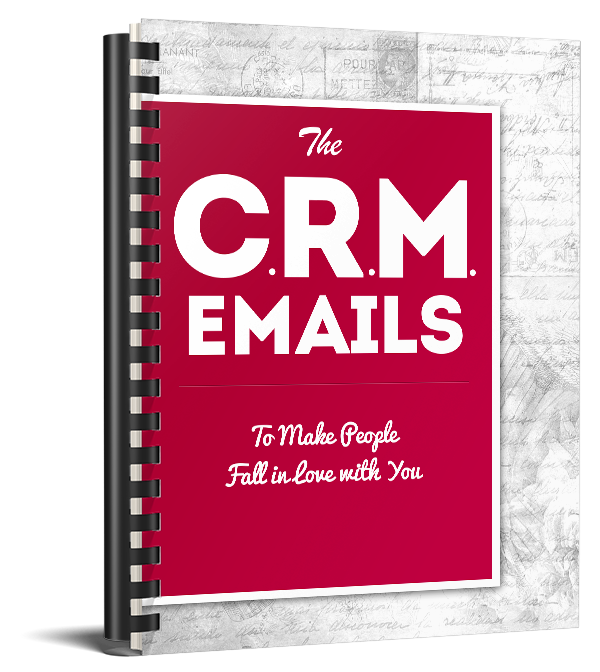 10 CRM follow-up letters that will help build the bond with your prospects, and make people fall in love with you. 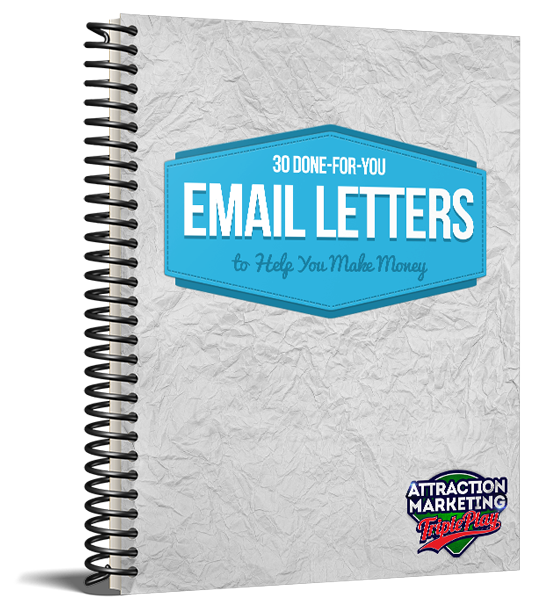 These are high-touch letters that you can copy, paste, (edit, if you wish), and deploy immediately to build the know, love, and trust factor with your tribe. 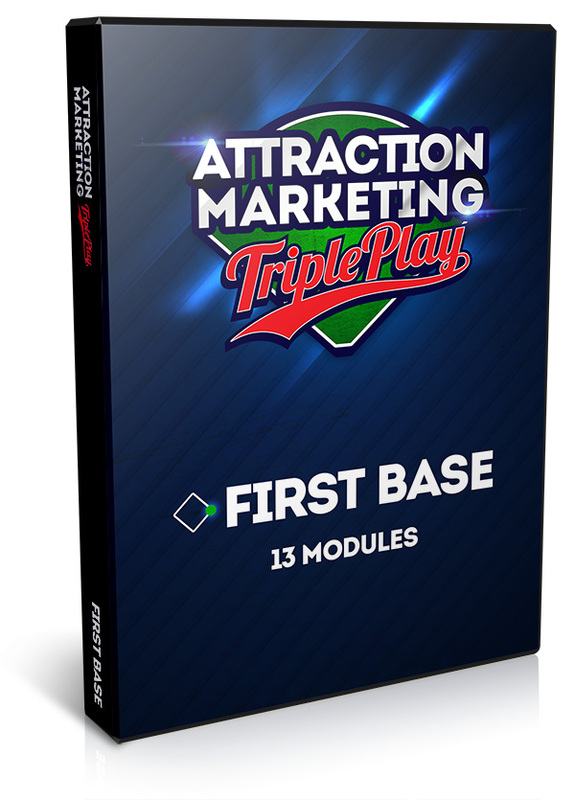 Enjoy access to Diane Hochman and hundreds of other 'Triple Play' students who are committed to mastering the art of Attraction Marketing! 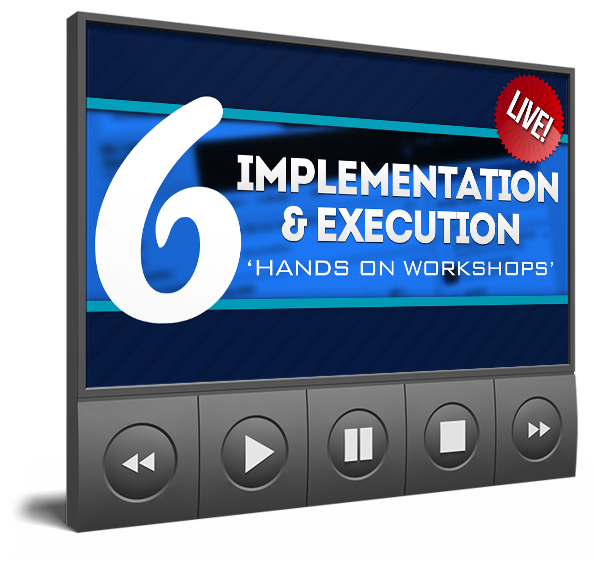 This is direct access throughout the entire course to make sure you get the attention, hands-on support, and access you desire to get the result in YOUR business. 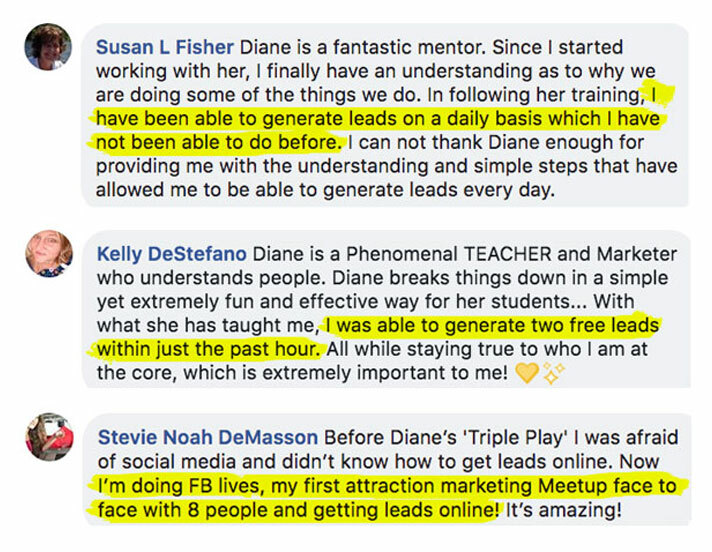 Expect Diane to fire up a few LIVE audio teleconference calls on a dime throughout this experience because she sees something she wants to discuss, she wants to pour on the value, and she's obsessed with overdelivering. These are 2 secret masterminds that were held BEFORE 'Live the Dream' to give you exact action steps to take at LTD to get an immediately ROI on your 'Triple Play and LTD' investment. 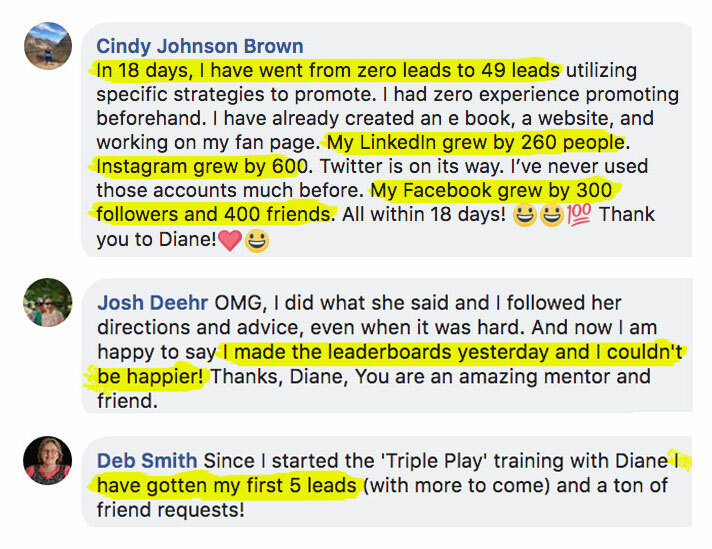 These are the exact steps Diane has used to make money from every event she's ever attended over her 18-year career... and you will get to learn and use these money-making skills at LIVE events for the rest of your life. These 8 Bonus Gifts Have A Combined Value of $3,889...and they're all included FREE when you Buy Now before the timer hits zero! 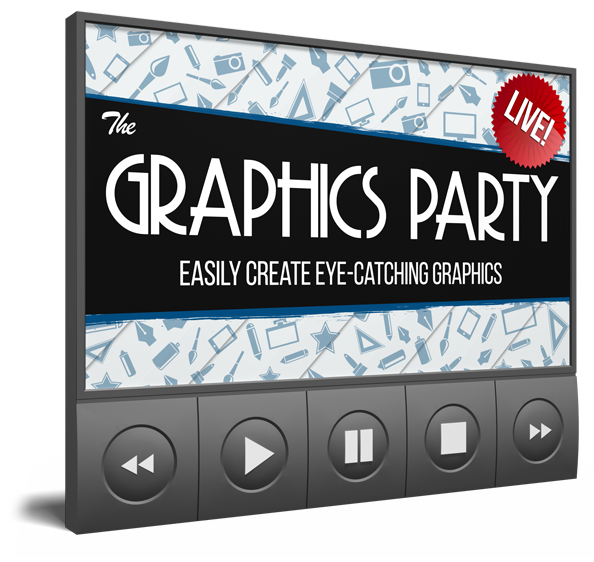 Get INSTANT ACCESS to the invaluable pre-event bonuses. Your 42 'Micro Lessons' will begin on Monday, August 20th. EVERYTHING will be recorded and you will have LIFETIME ACCESS. 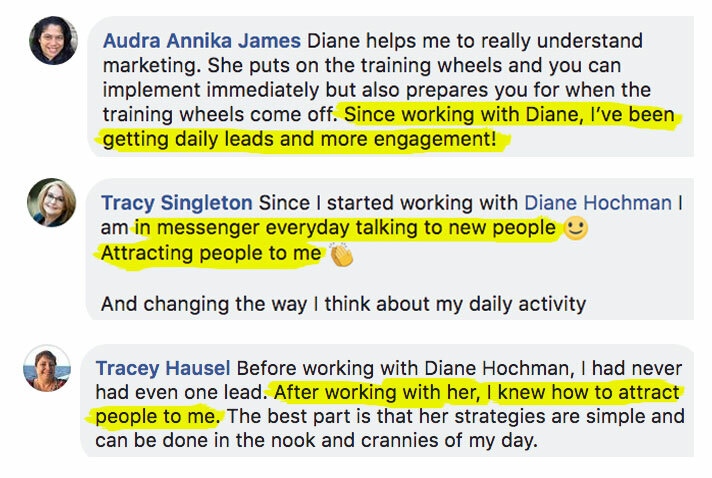 "Some massive praise to the Queen Bee of Attraction Marketing, Diane Hochman! 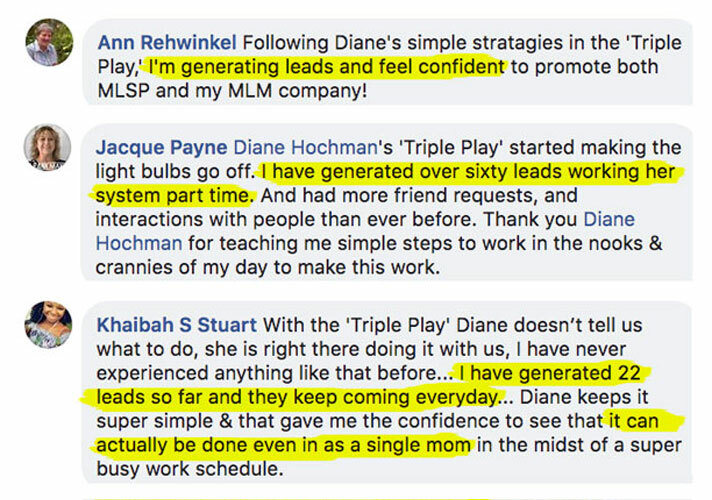 I achieved my first 5-figure month in my business while working with intimately with Diane!" 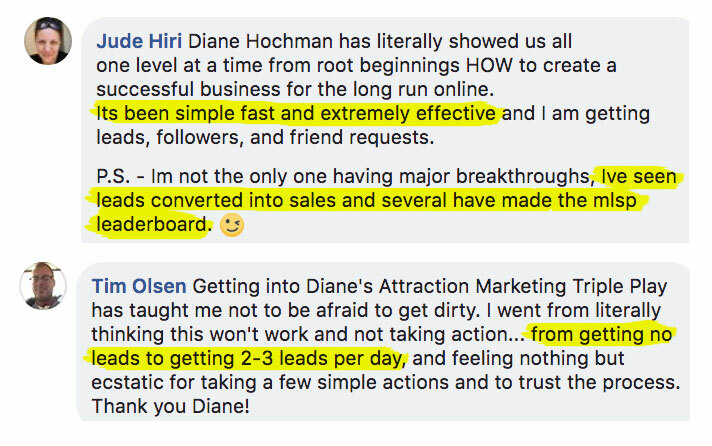 "Diane Hochman IS Attraction Marketing. 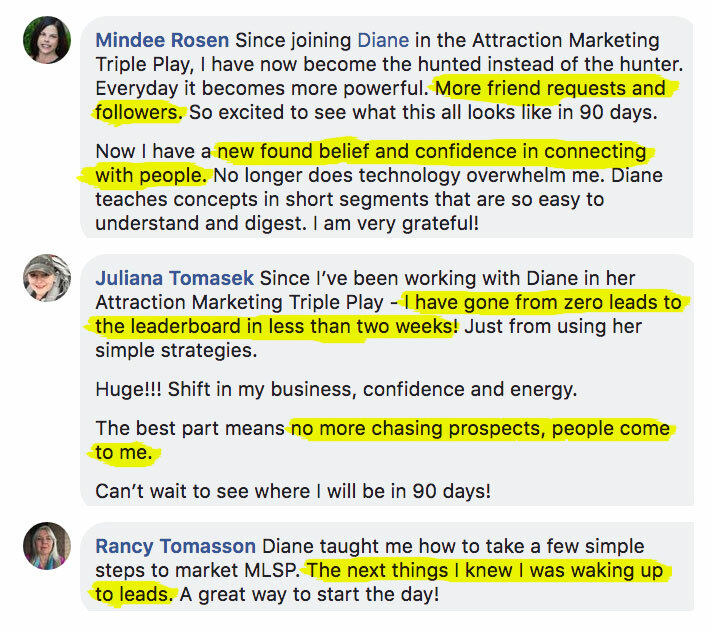 The success that I have in my business has been based upon Diane's teachings, and I am able to attract exactly who I am looking for in my business."